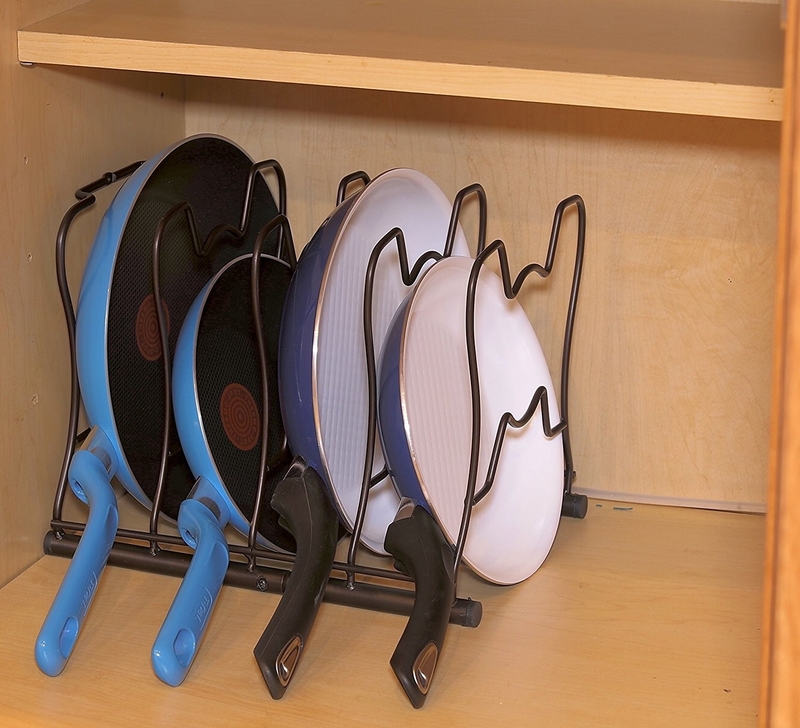 It's time to stop risking being caught in a pots-and-pans avalanche every time you reach for a frying pan. 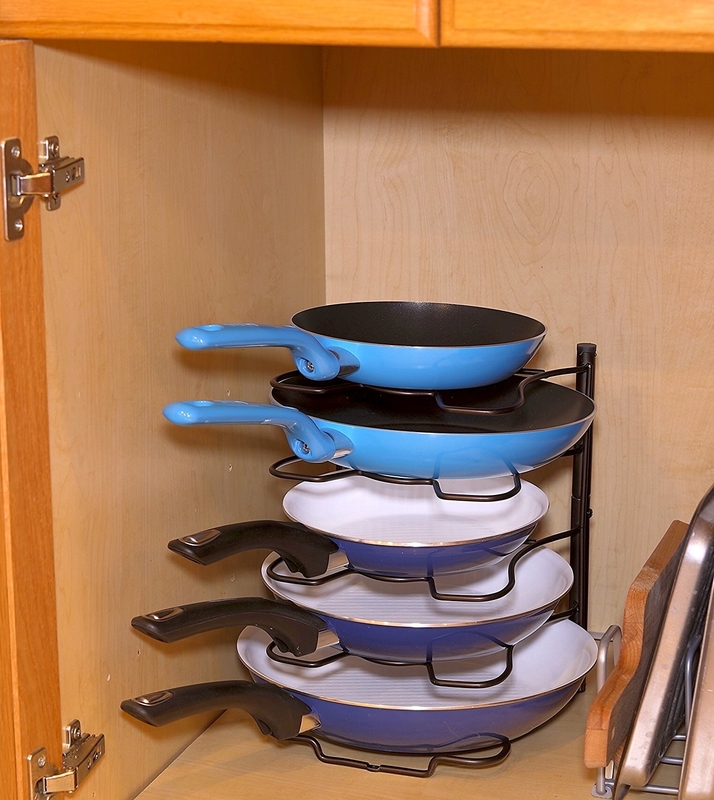 If your kitchen has limited countertop and cabinet space, figuring out where to store all your cooking tools can be a challenge. 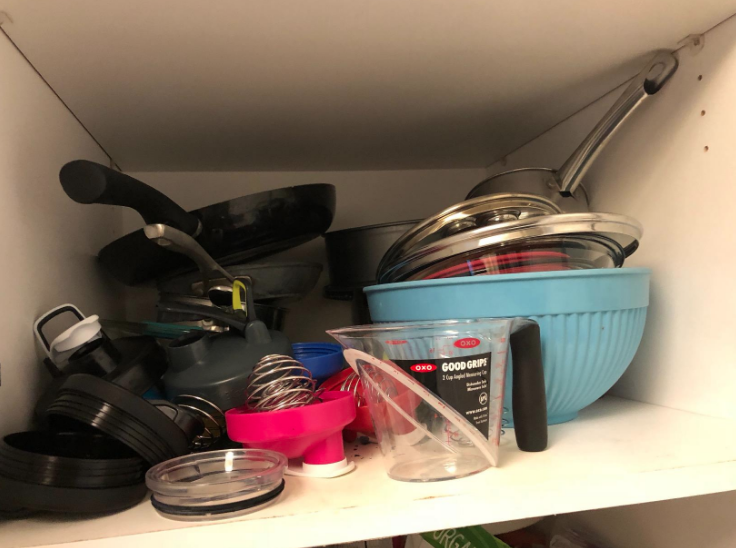 Raise your hand if you just wind up using your oven to store all the pots and pans you otherwise don't have room for! 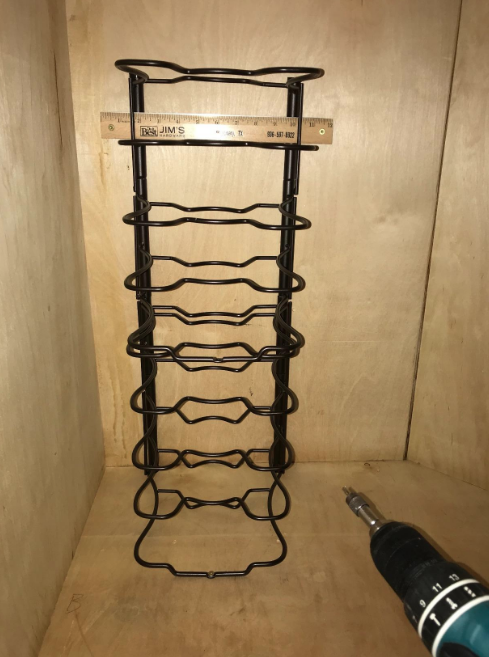 Well, small-kitchen-havers, your days of using the oven as a de facto cabinet are over, because there's a handy organization rack in town that's about to change the whole damn game! 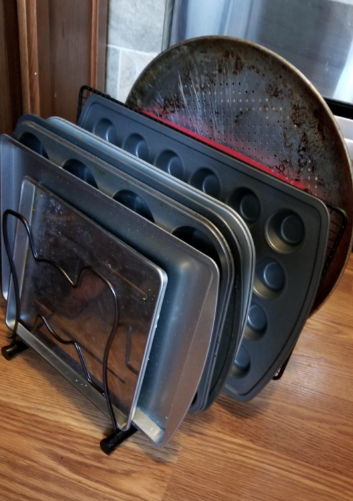 This SimpleHouseware pan and lid organizer holds up to five pans, with each compartment providing 2.5 to 3 inches of space. While you can position it to be free-standing, it also comes with hardware if you'd like to secure it into a fixed position. "Fits and works perfectly! 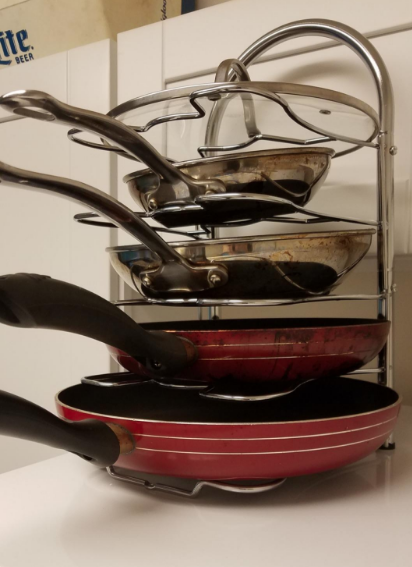 It was easy to put together too, and honestly I wish I had bought something like this years ago as it will keep all of my non-scratch pans unscratched vs the pyramid-style stack I had them in." 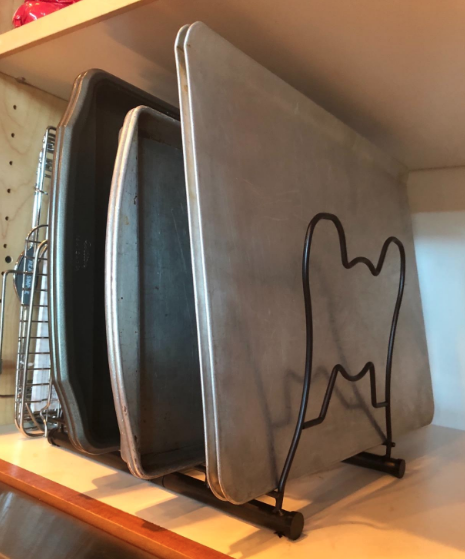 —Sarah W.
...and even put it to work holding things like baking sheets, cutting boards, muffin tins, and more! 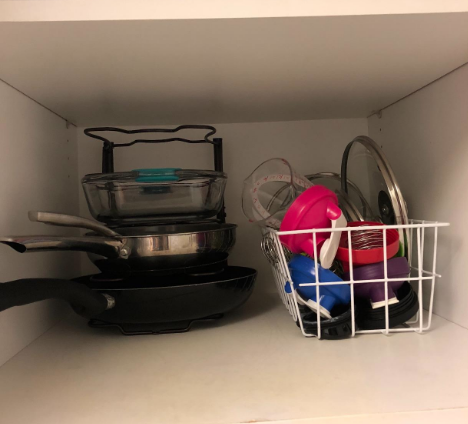 I mean...just imagine how much more organized your kitchen cabinets are about to be!!! 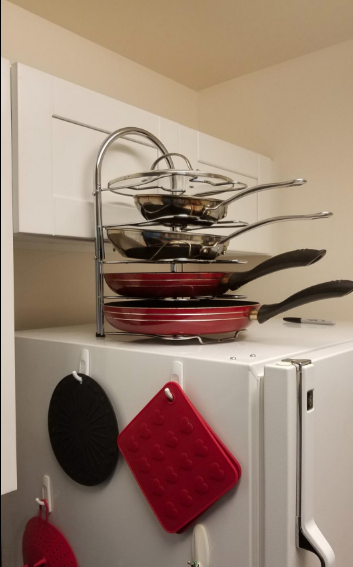 Extra space on top of your fridge? 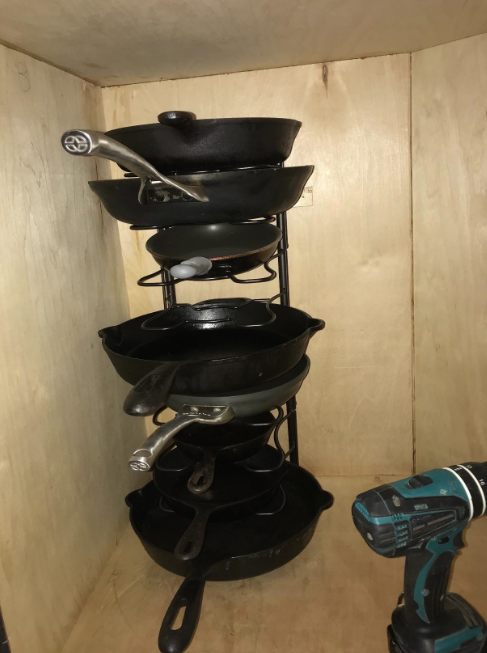 It's the perfect spot for this awesome little rack. And at $15 a pop, you may even want to consider buying more than one if you have a ton of stuff to organize. Heck, it even moonlights as a pizza-pie holder! So helpful, so simple, so multipurpose, so cheap. Get it from Amazon for $14.97+ (available in bronze and chrome).